The Stan Greenspon Center is ready to make significant change in 2019 for immigrants, for housing, for healthcare, for justice within the criminal system, for others, and for ourselves. The Immigrant Justice Team, under the leadership of volunteer organizer, Barbara Randolph, will focus primarily on the areas of Asylum Seekers and DACA, hoping to bring to the forefront and raise public awareness regarding the negative consequences of the current direction of Presidential policy, with an objective to apply pressure on those policies. This will include advocating for constitutional integrity, due process, and fair representation for all immigrants currently residing in the US and for those seeking to migrate to the US, defending historically accepted laws and policies, and pressure to increase the numbers of refugees allowed annually to the US. We will work to push for a path to citizenship for DACA recipients. Our work may also entail shining a spotlight on the Charlotte Immigration Court record for granting asylum, defining steps to combat this record that ranks second to last in the nation, and also shed a spotlight on ICE activities locally that breach norms, and as well fight against family separation and lack of oversight and transparency regarding the treatment of migrant children currently in US custody. The Criminal Justice Team decided that their number one project will be setting up Expungement Workshops leading to an Expungement Clinic. The workshops are intended to train attorneys who are interested in participating in the clinic as well as putting in place a process in identifying those people who might be eligible to have their records expunged, including the screening of their criminal records. Minister Dia and Robert Coppel, our team leaders, have conferred with Assistant Public Defenders to see if they could join our efforts and provide guidance. We learned that only attorneys with Malpractice Insurance can assist clients in filling out the paperwork. Our next step will be meeting with representatives from the Charlotte Center for Legal Advocacy as they have participated in past Expungement Workshops. The additional issues the group is considering tackling is Bail Reform and Racial Profiling with traffic stops. With this in mind, several members of our group attended a Bail Reform presentation at the YWCA. We will soon have a follow-up meeting to determine our direction. The Affordable Housing Team, led by volunteer organizers, Judy Seldin-Cohen, Steve Cohen (not related to one another) and James Lee, is starting two new initiatives in 2019 — both focused on creating diverse communities — in addition to continuing the work from last year. The first new initiative is to create more housing using County and CMS-owned “surplus” parcels of land. We are advocating to make these parcels available at a nominal cost to private and non-profit developers for mixed-income housing in exchange for a substantial component for those with the highest need. The second new initiative is to enable more low-income renters and homeowners to remain in their neighborhoods as housing prices rise with new investments through gentrification. We are starting a listening campaign to hear the voices of displacement and generate solutions that work for those who are affected by market forces. In 2019, our Affordable Housing teams will continue two initiatives from last year. 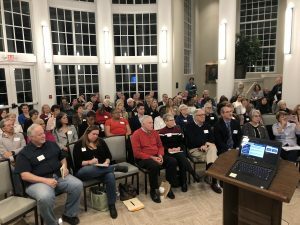 The Faith in Housing workshop generated tremendous interest from the faith community, and Greenspon will continue its work to inspire congregations to create affordable housing and to provide them resources. We will also continue our support of the Housing Justice Coalition to give voice to those experiencing displacement and homelessness in how our community spends public bond dollars. 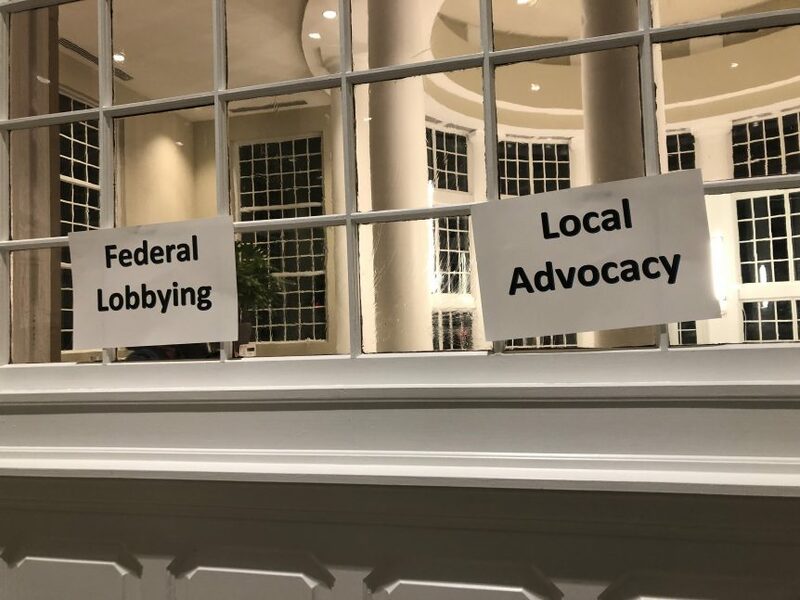 The Health Care Justice Team, led by Dr. Susan Rucker, has several initiatives that focus on membership, education, and obtaining support of Medicare for All. We are working on increasing membership in the student organizations of Health Care Justice at Queens and UNCC. We are expanding our educational programs by presenting education sessions for Medicare for All at faith-based organizations and other community organization venues. There will be a “teach-in” Sunday, February 10 at Queens from 3-5:00 PM about Medicare for All. The local chapter of PNHP (Physicians for a National Health Plan) is following the changing legislation that will replace HB 767. While Medicare for All is seen as the best solution to long-term health care injustice, we are supporting the expansion of Medicaid at the state level. And last, we are educating legislators about the injustices in health care and the solutions provided by implementing Medicare for All. We are asking them to publicly acknowledge their support. If you would like join the work of one or several of these teams, please contact Donna Tarney, a TARNEYD@queens.edu.